The confusion surrounding Google’s major cloud computing services is surprising. With all the hype over Google’s personal cloud-storage service – Google Drive -, one can observe just how far under the radar its business counterpart – Google Cloud Storage – has dropped. Considering Google’s real advancements with the App Engine and Marketplace, I actually believe it’s remarkable how Google Cloud Storage is not as popular as Amazon’s S3 (Simple Storage System). The biggest problem which arises from this confusion is the impossibility to create & develop enterprise applications through Google Drive’s SDK. That’s because Google has decided to preserve its Cloud Storage service for enterprise data and the Google Drive for personal data. In the following review, we will take a closer look at Google Drive and Google Cloud Storage to clear the air regarding these extremely different services and to better understand their strengths & weaknesses. If you’re looking for a simple, affordable & user-friendly cloud computing service or storage option, Google Drive might be just the thing for you. The cloud computing service uses the Chromium operating system. In other words, it integrates well with the ChromeBook and other Google applications. This powerful tool was designed with simplicity and teamwork in mind. While its features cannot rival that of Office 365, they are reliable and easy to share with different people. The developing company has been working hard to polish team review & collaborative aspects and obtained a product with high-functionality that integrates perfectly with other Google tools. 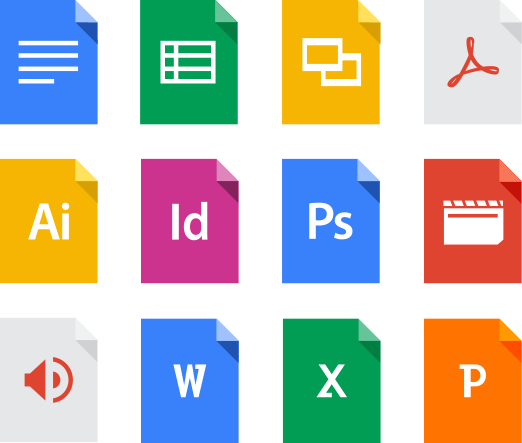 The simplest application of Google Drive is to allow users to share files as viewers, edit them as collaborators or co-owners and leave comments. This may not sound like something completely new, and there are other companies out there that offer the same features, but Google simply does it better. That’s because it offers tight integration between editing and storage tools through platform-independent web-based apps. These apps also work with minimal-storage devices. 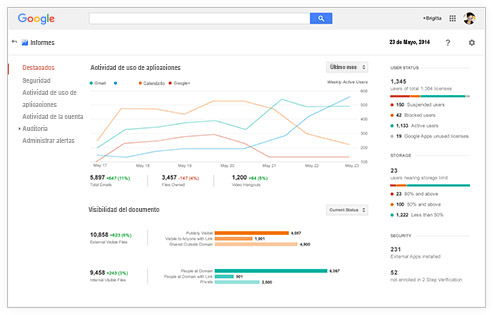 With the Google drive, users can create Documents, Spreadsheets, Presentations, Forms and Drawings. It is also possible to “connect more apps” for increased productivity. The great news about these simple & effective tools is that they are not factored into the price of using the service. As a matter of fact, there are six price tiers. A feature that I really enjoyed with Google Drive is the real-time updates. It is possible to work on a document at the same time with another person. Updates and file-changes will be recorded on the “Revision History”, and users even get their own highlighted color. Other interesting features include the ability to pull text from PDF documents (raw format text from read-only documents) or images and to convert Office documents to Google’s document format. Google Drive for Business also offers interesting reporting, auditing and retention tools that will offer more control over activities. However, one must use the desktop client installation for it. The idea of having to install a desktop application to gain access to the cloud didn’t sit well with some users, but its capabilities may make you overlook this detail. You can use Google Drive basic plans for free by registering with Gmail. Free accounts receive 15GB of storage. If you want more space, you can pay a monthly fee of 1.99$ for 100GB, 9.99$ for 1TB or 299.99$ for the maximum storage space of 30TB. There are a few things you should know about Google’s storage space. First of all, it is shared across all Google properties: Drive, Google+ Photos and Gmail. Secondly, not all files are considered part of your storage. For example, presentations, spreadsheets and documents created with Google Drive won’t count toward your storage capacity. Additionally, photos that are smaller than 2048×2048 pixels won’t be considered. Those in search of a business plan for the Drive can use Google Apps for Business for a minimum monthly fee of 5.50$/user. This offers 30GB of storage, full access to the Drive’s capabilities and guaranteed up-time. For unlimited storage you will have to pay 11$/per user each month. As we already mentioned, Google Drive was created for two things: creating & sharing documents with team-members and storing files. If you want to do something else besides creating presentations spreadsheets or documents, you can connect third-party apps. Their features can include, but are not limited to, mind-mapping, diagram creation, note-taking, rendering, interior-design etc. Granted, Google has its own apps – fast, user-friendly & easy to share – but they aren’t as efficient as third-party ones. You can take the use of Google Drive one step further by connecting it with your Google Mail, Google Calendar and Google Play. With Google Play you can access android apps, TV channels, books, magazines, music and movies. With standard plans you will have enough space for 20.000 songs. You can also upload your own library of movies and rentals. If you can afford it, you can use Google Music All Access for a Spotify-style streaming music player for 17$/month. We liked the fact that Google Drive requires little to no set-up. It is extremely fast, synchronizes documents in real-time and integrates with other Google services and third-party apps. All in all, it is a convenient cloud service that anyone can use. Price plans are also affordable. Unlike Dropbox, Google Drive doesn’t have an option for automatically synchronizing photos from mobile devices. However, you can use the Auto Backup Feature in Google+ to send images to your profile. Compared to other Cloud computing service providers, Google Drive offers similar features. The marketplace for cloud computing is crowded, but there are only a few notable competitors for the tech giant: Box, SkyDrive, SugarSync and Dropbox. The advantages that Google Drive has over its competitors include 5GB of free storage, a better pricing plan (in my opinion) and useful tools for free. I actually recommend that you use Google Drive, even if you’re already using a competitor. At the moment I’m working with Dropbox and Google Drive, and I have to say that the extra storage and ability to create spreadsheets and documents that can be synchronized with other Google services aren’t bad at all. Google Cloud Storage isn’t Google Drive or Drive for Business. It is, indeed, part of the Google Cloud Platform, but it was designed for a totally different purpose than the Drive: to help big businesses & software developers with their storage requirements. Price plans for Google Cloud Storage are completely different from those for Google Drive. The company uses a flat rate for storage, and usage rate for networks. In other words, everything is calculated in gigabytes (where 1GB = 230 bytes). If your bandwidth and storage usage vary from one day to the other, Google will automatically factor this into the bill which they issue at the end of each month. Data retrieval results in a 0.01$ per GB cost. You will be taxed only when you read data from the Nearline Storage class. That’s because Nearline storage was designed for infrequent use. If you delete data before the 30 days expire, you will have to pay a fee which is calculated according to this formula: 01$ x Z GB x Day of removal / 30. This rule also applies to files that you overwrite in Nearline. Ingress is free, but monthly usage for worldwide destinations and continental buckets may vary. For more details on Egress taxes, I suggest that you read the full explanation offered on Google’s official page. They also offer an example of cost plans for specific operations. Regular plans have competitive prices: 4.500 TB cost 0.0045$/GB per month. If you need more than that, you will have to request a quote from Google. Google Cloud Storage boasts a “fully-featured” API as one of its most important applications. This means that developers can directly access it through JSON or XML. There are plenty of supporting languages such as Python, PHP, Java and Ruby, making the Google Cloud a paradise for developers. The RESTful API, which stores data on the cloud, also uses standard HTTP commands. Google Cloud Storage is among the safest cloud computing services, because it stores data redundantly on servers from different geographic locations. In addition to this, Google’s Cloud operates with proprietary security technologies (example: OAuth 2.0 authentication & granular access controls). Objects: As the name suggests, they are individual pieces of data that can be stored on the cloud. They have two components: object metadata (name-value pairs that describe de qualities of an object) & object data (a file that you wish to store). Buckets: They are the containers in which you hold data. Data can only be stored on Google Cloud Storage within a bucket. This helps keep things organized. Keep in mind that you cannot nest buckets and you cannot share them among projects. Projects: Lastly, all the data you have is organized within a project. The project can have several users, several APIs, authentication info, monitoring settings, billing info etc. There is no limit on the number of projects you can own. Strong Data Consistency: data on the cloud is stored, refreshed and updated extremely fast. Google Cloud Storage offers excellent read-after-write consistency. In other words, immediately after you delete an object from the cloud, you will get a 404 Not Found Status. Alternatively, freshly uploaded items will have all their meta-data available. Upload operations are atomic from an availability standpoint. This means that the object will only become available once it has been fully uploaded. RESTful Programming Interface: There are two RESTful programming interfaces (XML and JSON) which will help you work independently from RPC programming or SOAP toolkits. It becomes extremely easy to create, share and manage applications through Google Cloud Storage. OAuth 2.0 Authentication: We discussed Google’s proprietary security systems earlier. The OAuth 2.0 authentication & authorization software interacts with the API on a token-based system. Google Cloud Storage has specific rules for OAuth. You can read them here. Scalability & Capacity: The service offers some of the largest possible plans for cloud storage. We are talking in terabytes per account. Google Developers Console Projects: Through Google Developers Console, users can create their own projects, add members, manage authentication and implement API features. It is also possible to assign each project to its own Google Cloud Storage. Storage Class: Standard storage can be used for frequently accessed information, while Nearline storage is designed for infrequently used data. Authenticated Browser Downloads: By applying Google’s account-based ACLs to objects you can direct users to an URL. The company has published a comprehensive guide for Cookie-based authentication. If you wish to get started with GCS, you must create or use a Google Account. Use the Google API console to create a project and start navigating through the services tab to turn the GCS service on. The last thing you need to do for Google Cloud Storage to work is to add your billing information in the billing tab. You will be happy to know that, although the service asks for your billing information, the free Google Cloud Storage trial activates on your first project and offers a sizeable 5GB of storage.